There’s more than one type of jealousy. 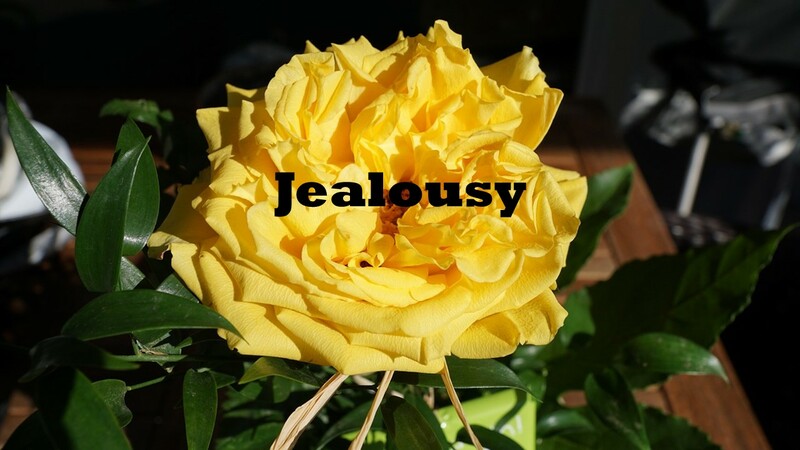 When you hear the word jealousy, most people think about jealousy in a romantic relationship. That’s not the only type of jealousy that affects humans. Jealousy is a complex reaction to relationship threats. Being in relationships with other humans has lots of advantages. Groups of human protect each other. Sibling jealousy, sometimes called sibling rivalries, is extremely common. It is generally in the mild to moderate severity range and rarely becomes a more severe morbid or pathological jealousy. Sibling jealousy in children is frequent, pervasive, and easily activated. The immediate cause is usually a lack of attention towards the jealous child or their perception that there is favoritism towards the other child. For some children, this is easily resolved. Unresolved sibling jealousy can lead to serious problems later in life. Some adults continue to argue with their siblings, and the expression “mom always liked you best” is the classic example of this. Our early family experiences set the pattern for our reaction to jealousy caused by relationship threats. Children compete for mom, dad, or another caregiver’s attention. The recent increase in blended families with their step-parent, step-children relationships, reveals how important relationship security is to humans and how jealousy grows in response to relationship threats. In early childhood, everyone had, or wished for, a best friend. When those relationships were dyads, just the two of you, they tended to be stable and long-term. Add a third person, and the best friend relationship becomes unstable. Children often compete for friendships and demand exclusive attention. “It’s either them or me” is the slogan for early friendships. Jealousy in romantic relationships is easily activated. A person with good self-esteem is likely to respond to threats in their relationship with partner retention efforts. If you think your partner may be looking at other people, you spend more time with them and make more efforts to impress them. You may try to scare off that other person or tell your partner they can’t have it both ways. This is the most serious manifestation of jealousy. It may lead to stalking or acts of violence. This serious condition is most often associated with romantic relationships but can occur in any of varieties of jealousy. People who develop pathological jealousy are likely to suffer from low self-esteem. When someone believes, they would have trouble attracting another partner, but their mate has many options, they are more likely to respond with angry, controlling, or violent behavior. Professional jealousies can lead to all sorts of workplace conflicts. Professionals competing for the attention or rewards from third parties can undermine the effectiveness of the school, business, or other entity. Delusional jealousy involving neurocognitive problems. This condition is associated with Parkinson’s, dementia, treatment with a dopamine agonist, alcohol addiction, and stimulant abuse disorders. It often coexists with hallucinations and increases the risk of violence towards caregivers. People with neurocognitive disorders can become extremely fearful of losing a relation. They may begin to accuse their partner of having affairs, and they will come to believe these affairs are taking place even when the partner is almost never outside their sight.